“We need to get him on a horse,” was what Aidan DeFrates’ physical therapist told his parents. Aidan was almost 3 years old. He couldn’t sit up, crawl or talk. He had already had surgeries to repair a hole in his heart and implant a device for his brain to preempt the 80 seizures his little body was experiencing each day. “The doctors had told us, ‘Be prepared, this child will never talk nor walk,’” remembered Kimberley, Aidan’s mom. 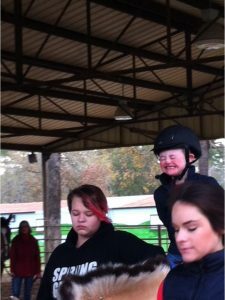 Aidan arrived at SIRE Therapeutic Horsemanship shortly after he turned 3 years old and therapists rested him flat on a blanket on the back of the horse. They placed him facing both forward and backwards and in various positions and in different types of saddles to allow his muscles to mimic the movement of the walking horse. They designed the program to recreate the way his muscles should be moving for him to walk. After a few months, Aidan was able to sit up by himself. The week before Halloween, six months after his fourth birthday, he took his first steps. In Aidan’s 10-word vocabulary, most of the words are related to his horse: “walk on,” “go…go,” “nay” and his earlier horse’s name, “Gertie,” although more recently he’s been riding Jaybird. After five years invested in work at SIRE, Kimberley said they love the staff and volunteers. 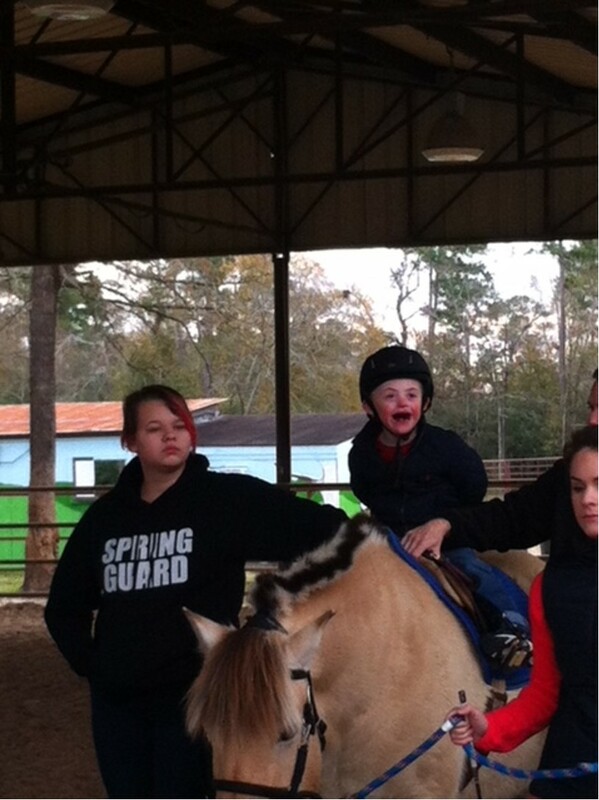 They have made great friends with other families who also have loved ones with special needs training at SIRE. 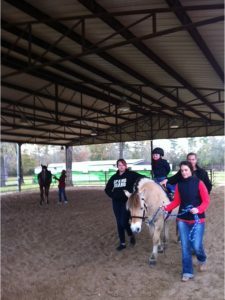 Up ahead, they hope Aidan continues to improve, being able to feed and brush his horse and perhaps eventually participate in competitions.taught in early reading instruction. He has a speech device to help with simple commands. He now walks normally and runs a little bit.